Photography websites play a crucial role in establishing brand identity. Your photography website dictates how existing and potential clients perceive you. Your photographer website is responsible for convincing simple visitors to reach out and contact you for a quote. Somehow, people expect photographers to be excellent designers just because they are good with pictures. Well, talent doesn’t transfer from one field to another. Photographers are artists and, as artists, they tend to make the same mistakes when it comes to design. If you are looking to build a photography website to showcase your work and highlight your skills, this article presents you with useful tips to create appealing and yet effective photography websites that will bring you clients from the corporate and advertising field. The times when you needed a photography website builder actually to build your website from nothing are gone. Today, even the best photography websites have been built on a template, and there are plenty of arguments to support such a clever design decision. Template photography websites are more than reasonably priced. The well-written coding of the theme and the template will allow photography website to get excellent SEO, which eliminates much of the hassle of surrounding SEO, a complicated topic for website owners. Another argument that supports template-based websites for photographers is actual a counter-argument against the “look-alike” argument. Template-based websites can be customized to such extent that this argument feels outdated and without any real support. Ease of construction is perhaps the most obvious benefit when choosing to create a website for photographers on a template. 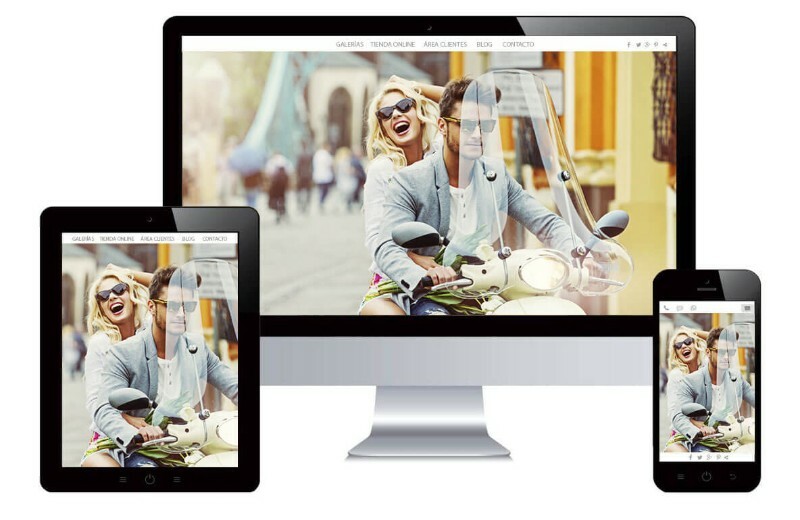 The fact that a template entails a responsive design is an even higher valued benefit. Such designs are made to look fantastic on any screen size. In addition, a good template website has been tested from top to bottom to make sure they provide visitors with easy and quick navigation and to allow developers/owners to update content easily. 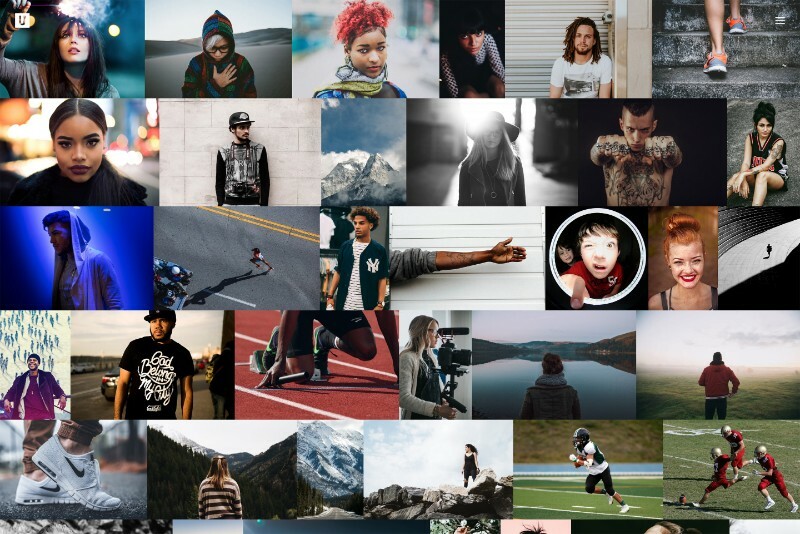 You may opt for photo hosting sites, but, if you choose to self-host, you can go with a WordPress theme for the best websites for photographers, such as Uncode. What would you like to see on a photography website if you were a corporate executive looking for a good portrait photographer? Would you like to see a chaotic collection of portraits, food, reportage, sports, architecture, and landscape photography? Probably not. While displaying work from all arrays of photography might have been a good approach if you wanted to demonstrate your adaptability and exhaustive experience, a too varied photo portfolio might frustrate a potential client who only needs to see one type of photography. Clients want to see quickly what you do and if what you do is what they need. Good photography websites must provide visitors with that information the moment they land on the website and not 5 seconds later because you can’t hold their attention for that long. The conclusion is pretty obvious: you need to identify your niche and build your website around that niche. If you have several areas of expertise, create a website for each specialization if you can’t break yourself from your art and pick and stick to one focus alone. Your niche should, ideally, be at the intersection of three important elements: what triggers your passion as a photographer, what the market labels as “in demand,” and what you can do best. Use plain terms to provide accurate descriptions of your area of expertise. Beginner photographers just launching their careers via their photography websites are afraid to focus solely on one area because they need customers, and don’t want to lose customers because they don’t advertise everything that they can do as photographers. Unfortunately, a website that displays every single type of photography that you can create, no matter how compelling conveys only one message to a corporate client, for example, you are an inexperienced photographer. That’s not what you want your site visitors to think. A photographer is not a one-size-fits-it-all solution. A photographer is an artist, which implies a talent for something. Identify that something and you have your focus. Once you know what you want to focus on, you can start building your photography portfolio. Identifying your niche allows you to provide the highest quality work possible because you get to do what you are best at and you get to focus on doing that and nothing more. Why be average at every area of photography when you can be the best at a specific area? Best photographer websites always focus on making images the center of attention. 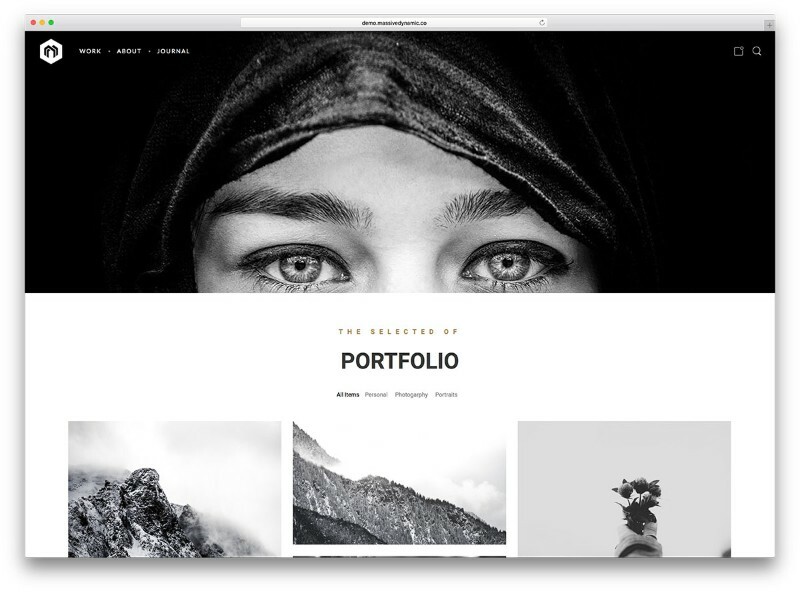 There are templates for photography websites that have been specially designed to showcase images and generate photo galleries, similar to photography portfolio websites. No matter how often it needs to be said, we say it: less is more. The best photographer portfolio will not include every possible photography ever taken but will be a collection of the best of the best work. The website will still be, just that it will be the best of you. If making an objective selection of your best work to display just like the best websites for photographers do, then you need to get friends/peers to help you out. You may have fallen in love with your photos and may not be able to approach your work as an outsider would. The best photography portfolio websites don’t feature a ton of photos from every single style of photography. The best photography websites feature only those works that reflect the photographer’s area of expertise. In your case, focus on displaying your strength. If you want to get jobs as a landscape photographer, then leave out those wedding pictures or food photography. They have no relevance for how you want visitors to perceive you. Why promote yourself as a wedding photographer, when you are a landscape photographer? Let’s say you’ve also managed to identify your style as a photographer. Now, you need to pick a website design that aligns with your niche and your style. 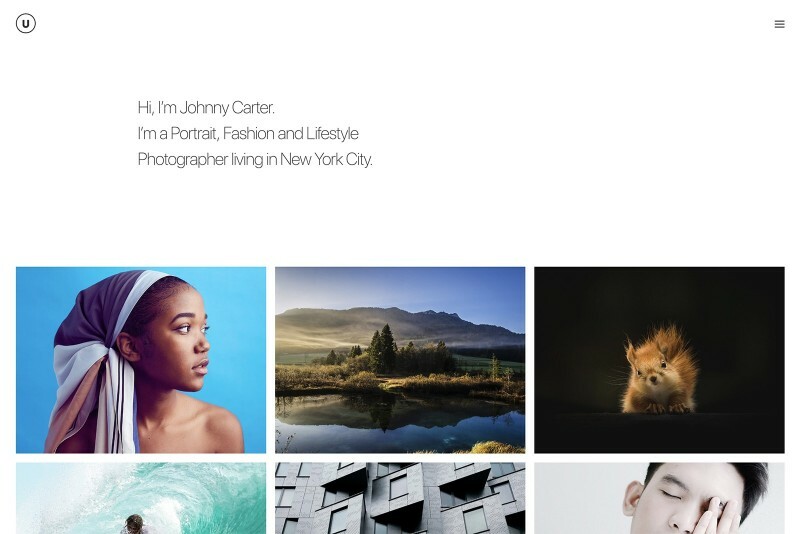 E.g., a sleek theme will be a good match for a minimalist photographer. 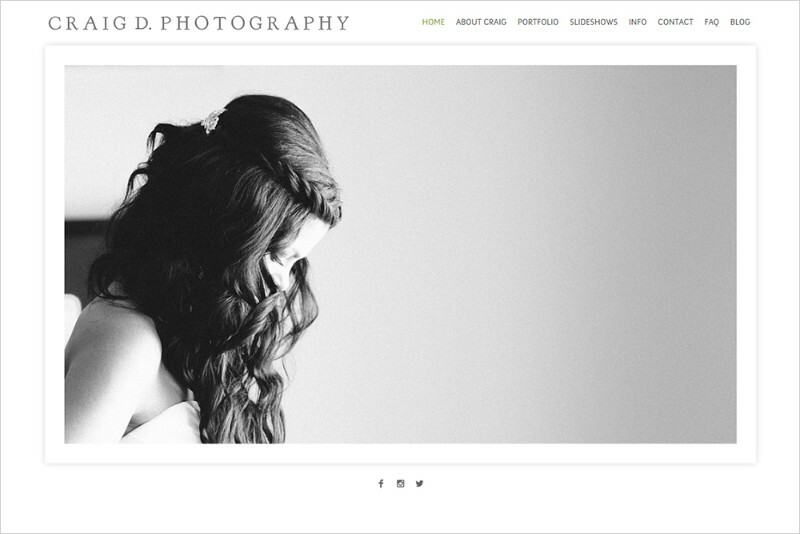 Photography websites build brand identity. There are so many different approaches to photography that make each photographer unique. 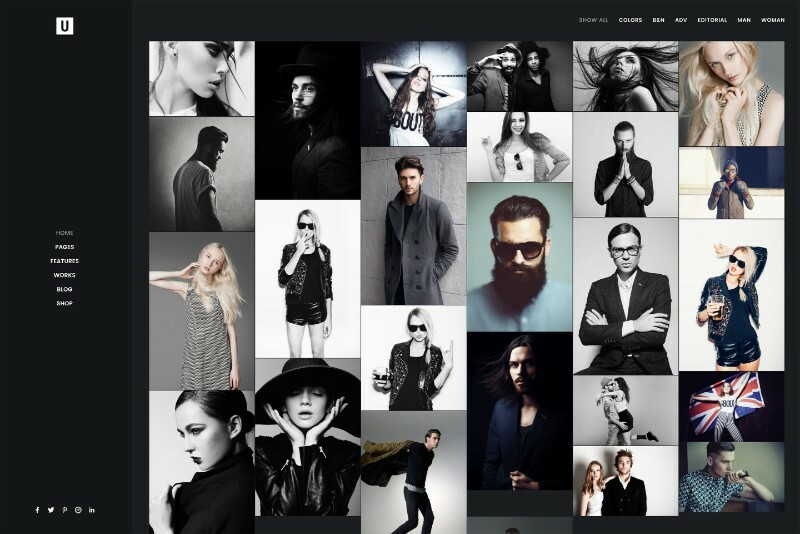 The best photography portfolio websites provide the ideal website design to reflect personal style. Consistency in style across social media and your portfolio site is essential. The e-commerce era is here. Why not capitalize on your site? Photography websites make excellent store venues, where photographers can market prints or tickets to a workshop or exhibition and clients are given the option to pay for their photo shoots right on your site. It’s not rocket science to add an eCommerce function to your photography website. 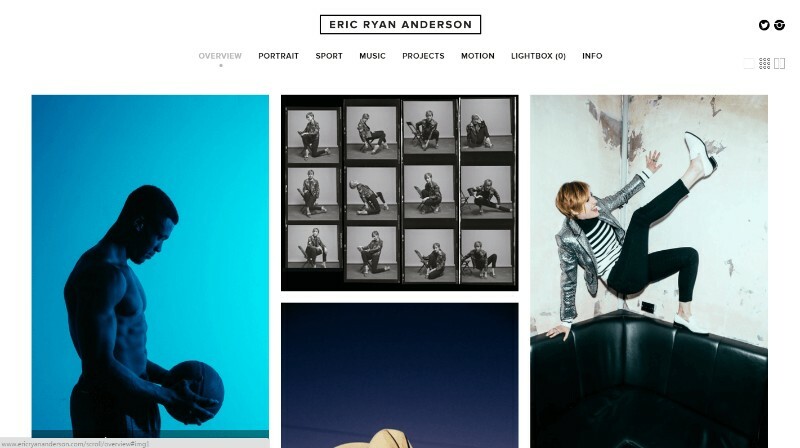 The best online portfolio sites include an online store. Why wouldn’t you cash in on this opportunity as well? It’s a great way to have your website pay for itself. Unless you are equipped with extensive skills and knowledge to build a theme from scratch, we recommend purchasing a WordPress theme that has already been coded. If you go with WordPress as a platform, picking a theme is an important step in your design endeavors. For a photography website, the WordPress theme that a site is built on is everything: décor, design, and visual elements. People identify a theme with a website, which is why it critical that you pick a theme that allows you to make your website look professional easily. Photographers, irrespective of their level of experience are fully aware of the importance of having photography websites, where they can highlight, as well as sell their artwork. In today’s digital era, you’re nobody without a site. It sounds harsh, but it’s the brutal truth. Your brand can’t be identified in the space that matters the most in the eyes of people: the online marketplace. Once you understand you need a website, build a site that grabs the attention of your potential clients the moment they land on your page and see your work.